A fence’s most common purpose is to provide a safe and private environment for your property. Privacy fences are perfect for residential areas being able to provide a closed off and peaceful environment. 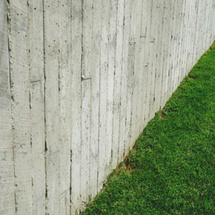 If you want a fence to be able to fully enjoy time with your family without having to constantly fear being watched, here are a few things to keep in mind. 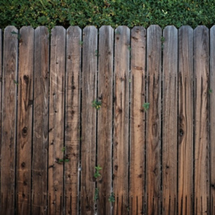 At Roots Landscaping of Greater Danbury, we know the best privacy fences are made of Wood and Vynil. You’ll need a fence that can withstand the New England weather especially for harsh conditions in the greater Danbury area during the wintertime. These fences create an enclosure around your property and are a perfect fit for residential areas. There are many people that want a snazzy fence that also gives you privacy, but some options are more cost effective than others. Bamboo and chain link fences can be pretty costly if you want to have a high level of security. Bamboo fences can rot and be hard to maintain with the cold New England weather. On the other hand, you can install plastic slits into the chain link fences. It may seem the other side is blocked off at first, but you can see past the other side. That’s why Roots Landscaping Danbury chooses only the best materials, to make a solid no see-through fence. 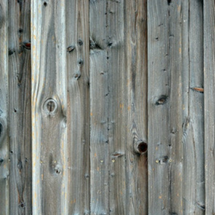 Wood fences are the most common type of fence that provide the enclosure you need. You can choose strong wood materials like Pine, Spruce and Redwood that are durable, water proof and will last year-round. Wood fences also adds to the great aesthetic of the property that fit well with the Danbury communities. If you want to have the quiet and isolation without sacrificing your bank account a vinyl fence is the way to go. They are the cheapest option and can wall off your property from any uninvited guests. They are also easy to maintain and shows a solid color around your property. Roots Landscaping provides superior fence installation, expert masonry, structural repairs and supplementary landscaping services in Danbury, CT. If you are uncertain about the type of fence you need, or have questions about the project you hope to complete, contact Roots Landscaping today. We can be contacted at 203-304-7326.